Heartfelt Home Creations | Crafts, Cooking and other tidbits "created from the Heart and for the Home". Crafts, Cooking and other tidbits "created from the Heart and for the Home". It’s Beginning to Look a Lot Like Crochet Time! Kelly Long is one of the “Amish fiction” authors I enjoy. I have reviewed some of her works before, such as Lilly’s Wedding Quilt found in the Book Nook section here on my blog. 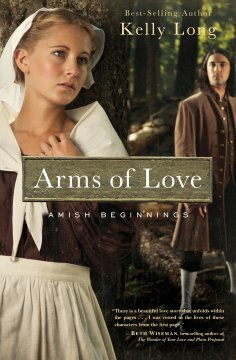 Luckily for me, my most recent book from Booksneeze.com was Long’s Arms of Love. The year is 1777. America is in turmoil. And Amish life is far different than today. Pennsylvania in the late 18th century, once called William Penn’s Woods, was an assortment of different faiths living together for the first time in American history. Included in this tapestry was a small and struggling population called Amish. Surrounding this peaceful people were unavoidable threats: both Patriots and the British were pillaging land and goods for the sake of the war, young Amishmen were leaving the faith to take up arms and defend freedom. A simple walk in the untamed forests could result in death, if not from bullet or arrow, then from an encounter with a wild animal. Amid this time of tumult, Adam Wyse is fighting a personal battle. To possibly join the war efforts and leave his faith, which would mean walking away from the only woman he’s ever loved: Lena Yoder. But for that love he’s made a promise that may keep them apart permanently. I found Arms of Love to be a good read for a snowy winter’s day — the kind of book you can curl up in a chair with along with a cup of tea or hot chocolate and a warm blanket. At first I thought the story was going to be very predictable. It seemed like it was going to be the typical Amish story: two people who want to be together and start a family but can’t because of some problem or rule that is keeping them apart; something changes the situation; and then in the end they end up being able to get married after all and life is good. Long keeps her readers interested in the story and entertained throughout. She keeps the reader guessing whether or not Adam Wyse will enlist with the war effort. Then there is the problem of whether or not Adam and Lena will be able to marry; along with the twist that Lena and Adam’s brother, Isaac, are to be wed instead in order to keep Adam away from Lena (or so Adam’s father hopes for reasons of his own). But Long doesn’t leave the reader with this one basic plot line. Amidst the turmoil of heartache and mystery between Adam and Lena’s situation, the author keeps the reader involved with the lives of the other significant characters in the story: the wet nurse, Ruth; Lena’s father, Samuel; and Lena’s brother, John. Long let’s us see into their lives and hearts as well so that we can immurse ourselves even more into the story, the Yoder and Wyse families, and the Amish life in general — one of the many reasons why I enjoy reading her literary works. If you have previously read books by Kelly Long, or have an interest in Amish fiction, I encourage you to add this to your casual reading list. It’s a “feel good” kind of book that keeps you involved in the story and the lives of the characters. Arms of Love will keep you interested with a story that keeps you going from cover to cover! Bestselling author of Paradise Valley, Dale Cramer, has done it again! I have had the privilege of reading and reviewing another one of his enjoyable works! If you haven’t read Paradise Valley, I encourage you to do so before reading Cramer’s The Captive Heart, because this 2nd book picks up right where Book 1 leaves off. Ravaged by disease, preyed upon by ruthless bandits, the Bender family’s second year in Mexico has taken a grievous turn. Faced with impossible choices, the expatriate Amish discover, more than ever before, what it means to live by faith and not by sight. But it’s Miriam who must make the hardest choice as her heart takes her on a new and dangerous course. Domingo. “He is gentle,” his sister said, “until someone he loves is threatened.” Is Miriam that someone? “Cualnezqui,” he often calls her – The Nahuatl word for Beautiful one. The chiseled native has proven himself a man of principle, grace, and power. Yet is he the pearl of great price for whom Miriam would sacrifice everything, or is he merely a friend? Tormented by conflicting emotions, she’s haunted by vivid dreams: Dressed in the coarse cotton pants and shirt of a peasant, she stands on the precipice of a sun-washed ridge searching desperately for Domingo. Domingo the fierce. Domingo the protector. This book definitely kept me reading, even more so than Book 1 in the Daughters of Caleb Bender series. Many suspenseful events occur that keep the story moving and the reader intrigued – illness, a kidnapping, and a rescue in the shadow of a loss of loved ones. Even though the main story line focuses on the events that involve Miriam and Domingo, Cramer does not forget the perils also faced by Caleb and the rest of the growing Amish community. His characters are just as captivating as they were in the first book – each one with their own personality, strength and struggles depicted in ways that forces the reader to want to learn more about them. Caleb’s faith is pushed harder, Domingo learns more of the ways of the Amish, and Ada becomes a hero in her own right. This book is another good example of how Faith, Love and Forgiveness can change the lives of others. There is also the question of whether or not it would be wise to give up the Amish way to follow another way. If you read this book, let me know how you like it. I know I am now anxiously waiting to read Book 3!! Time Away Can Be Such a Blessing! It’s been a while, and I’m happy to say that I am back in action! I recently have returned with the rest of my family from a road trip to Colorado for my brother’s wedding! It was such a great retreat, driving across the country from PA to CO with the hubby, our 2 little ones, and our pop-up camper in tow! Now that I’m back at home, I am eager to get back into blogging, sharing, and making more crafty creations for you to enjoy via my etsy shop! 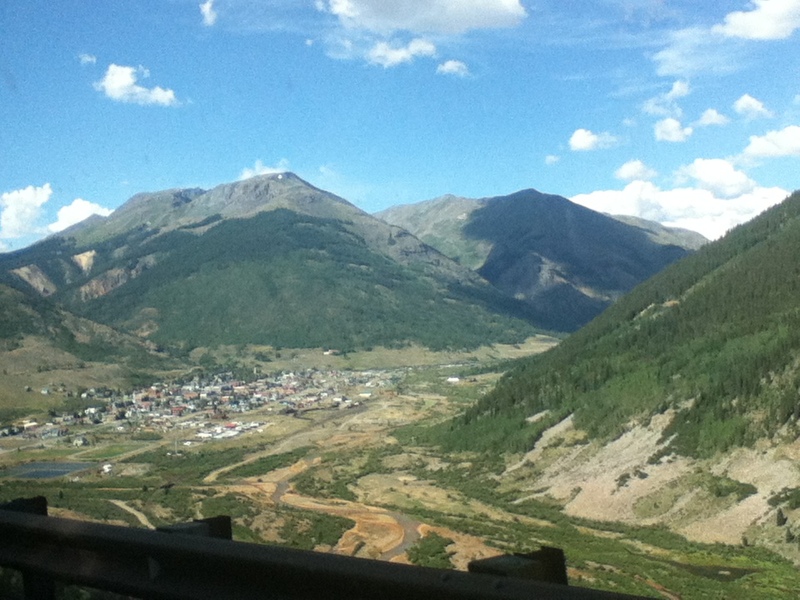 As I bring this brief post to a close, let me share with you one of the pictures from our stay in Colorado. Enjoy! The Bible talks of a man who is often identified as being “a man after God’s own heart” — King David. Ever want to learn more about this man’s life journey and walk with God? If so, may I recommend reading A Heart Like His, by Beth Moore. This biography is not like any other I’ve read. Moore put a lot of research and time into putting together this reflection on David’s life. Everything from sighting Scripture, to lists and outlines that help the reader connect with and better understand the different significant points that made King David the great man so many believe him to be. Moore also keeps the reader engage by asking questions throughout the book that require the reader to reflect on the reading, relative scripture excerpt, or even their own lives in comparison to what is going on during the different events in David’s journey. If you are looking for a book that will help you better understand the life of King David without the boring and textbook-like jargon, then this book is for you. I would also recommend it for anyone looking for a companion to summer scripture reading. In fact, Moore also wrote a Bible study on King David, from which some excerpts are incorporated into this book. Disclaimer: Thank you Shelton Interactive for giving me the opportunity to review this book. I was given this product in exchange for a review that reflected my own thoughts and opinions. I was in no way influenced, the opinions given in this posting are my own. If you would like a copy of this book, it is currently available for purchase (here) on Amazon.com, and other sites where Christian books are sold. Now that I finally have things mostly unpacked and have somewhat settled in to a bit of a daily routine, I have finally been able to tackle my stack of books to read! The Christmas Note by Donna VanLiere, is a delightful little read for not just the Christmas season, but for anytime during the year. From the author of The Christmas Shoes comes a new inspirational novel about an unlikely friendship between two women, but one that will change each of their lives forever. Gretchen McCray has recently moved into an apartment with her two children to be closer to her mother, Miriam. She and her children are building a life together in a new community when a mysterious young woman, Melissa Summit, moves into the apartment next to them. She has few possessions, little personality, and keeps to herself. One day, a local landlord who is looking for Melissa knocks on Gretchen’s door for assistance. Melissa’s mother has died and in the coming weeks the landlord needs Melissa to empty her mother’s apartment. Gretchen reaches out and offers to help, but the apartment is a gut-wrenching shamble of a home. There is little worth saving except for a few photos and a note that is discovered on the crate beside the bed. It is unfinished but in the two scribbled lines, Melissa discovers she has a brother and a sister that she never knew about. Even more shocking, she begins to uncover family secrets that show her who she really is. Can two very different women embark on a journey that explores a long-buried need for forgiveness, hope, and redemption? I found this book to be a nice, easy read and enjoyed the ending the best. I wouldn’t recommend this book to everyone, only because at times it seemed to drag on a bit. I think the author was mainly able to keep my interest via the writing the story through the eyes of either Melissa or Gretchen with each new chapter. After sticking with it and reading this book over the course of a few evenings while relaxing with a nice cup of tea, some of the – what others might consider to be – “boring” details showed their significance once the story came to a close. If you are stuck in the house due to a snow fall and want to curl up with something to read and a cup of something warm to drink, I would recommend this book. If you are looking for something that will keep you on edge with the constant questioning of “what’s going to happen next?” — then I suggest you read something else. Otherwise, on a scale of 1 to 10, with 1 being the lowest and 10 being the highest, I give this book either a 6 or a 7. Life was wonderful until Nadine Hennesey lost her best friend, her husband, suddenly on the day of their daughter’s birth. It seemed like the path they had planned for their lives together had broken apart and left Nadine floundering in the dust and broken road that remained. Now a single mother, Nadine had to decide whether or not to follow through with hers and Ed’s dream be servants of God on the mission field. What to do… what to do? If you are looking for a quick and enjoyable read, I definitely recommend ”When You Don’t See His Plan — The Nadine Hennesey Story” by Nadine Hennesey and Rebecca Baker. With each challenge and triumph that came Nadine’s way, I was eager to get back to reading to see how things turned out and how her faith in God helped her through it! If you read this book, I’d love to hear your thoughts on it! Just leave a comment at the end of this post! ** “When You Don’t See His Plan — The Nadine Hennesey Story” was given to me by Discovery House Publishers in exchange for my honest opinion and a review of this book/product. The opinions and such expressed in this post are my own and were not influenced by the authors, publishers or anyone else affiliated with this product. Spring has finally arrived!! With it has come the green grass, tree buds and growing hay in the farm field outside my at-home office/craft area window. I’m so glad Spring has finally come because I have finally unpacked a majority of our boxes from our move and I am ready to breath a fresh new life into my blog as well as my Crafting and Mary Kay businesses!! If you check out my Heartfelt Home Creates shop on Etsy (here) and on Facebook (here), you’ll be sure to find links to and pictures of the Easter- and Spring-themed wreaths and other products I just made over the past 2 weeks. It was so nice finally being able to have my own crafting/office space again, thanks to the custom shelf built for me by my husband so that I may have my own little corner of the house to some of my supplies while at the same time sectioning off my own area from the kids’ new play room. For those of you that have your own work space or at-home office space, I’m sure you can completely relate and share in my excitement! Aside from my crafting business, I have also been able to restart my Mary Kay business! I have even created a Facebook page (here) for it so that I can connect with my customers, old and new alike, in addition to emails. I love finding new ways to connect with people! But enough of the “self-promotion”, that’s not why I am writing this post. Instead, I’d like to just jot down some of my blogging and crafting to-do list items. First off, I just finished reading a great inspirational book about a Christian single mom who, against many odds and obstacles, accomplished so much — it was great! I don’t want to say much more since I will be writing a review of this book in an upcoming post, so in the meantime I hope that you will check back over the course of the next day or two so that you can read more about it!! As far as blogging goes, I’m looking forward to trying new recipes and sharing them with you. I won’t be able to post recipes weekly like I have in the past since most of my time is now spent keeping up with our two little ones, but I am eager to get a few posts in soon! There are also quite a few books I have on my “to read and review” list that I am anticipating sharing with you. I was hoping to write some gardening posts, but unfortunately I am unable to have my lovely garden in our new home. I’m trying to find a way to remedy that, perhaps with a garden in flower pots… I haven’t quite figured that out yet, so if anyone has suggestions on how I can have my veggie garden in our new home (where I can grow tomatoes, zucchini, cucumbers, lettuce and such) I’m all up for suggestions!! Click to Visit My Shop on Etsy!